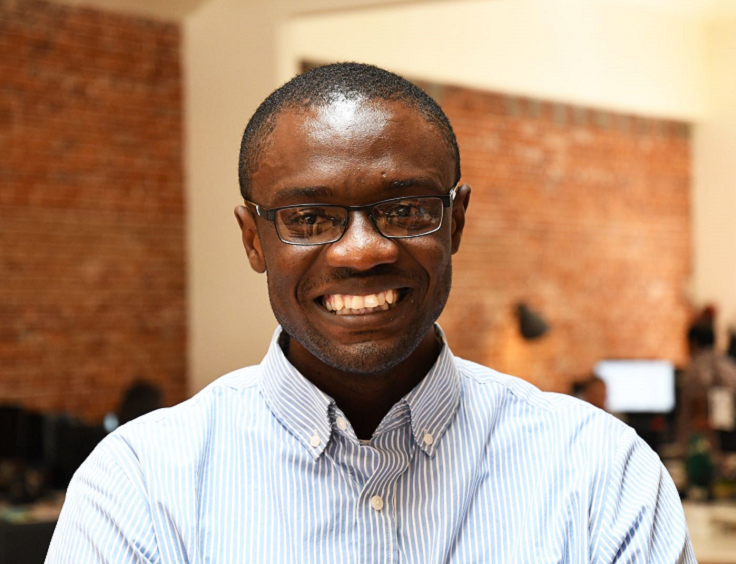 When Yannick Sana arrived in the United States on September 29, 2016 from the Democratic Republic of Congo, he was fulfilling a lifelong dream. What he did not imagine was the uncertainty that his future faced in taking that risk. There were many unknowns—would he be able to learn the language and customs of a land and people unfamiliar to his own? Would he be able to regain the professional success in Accounting and Finance that he had spent so many years working to achieve? Yannick has a unique ability to look at a situation and while it might be tough, he can see around the corner and visualize the possibility ahead, versus the difficulty. While he initially struggled to learn English, he persisted and devoted himself to English courses at the College of Western Idaho. An instructor there recognized in Yannick a high degree of professionalism, strong work ethic, and a fierce desire to learn. He was referred to Global Talent Idaho for support in meeting his goal for professional employment. After enrolling in the program, GTI assisted Yannick in developing a professional resume, applying for jobs, preparing for interviews, and coaching him on ways to effectively market himself. In addition, he participated in GTI’s Business English class where he was paired with mentor Devin Geddings. Yannick attributes much of success in becoming fluent in English to Devin’s experience teaching ESL abroad and as equally important, to Devin’s friendship and support. Yannick also participated in GTI’s mock interviews where he gained a better understanding and familiarity with American business norms and the skills needed to successfully navigate a job interview. In his first interview, Yannick met with hiring managers and a department representative from Balsam Brands, an eCommerce retailer of holiday and home décor. The interview process included multiple panel interviews and functional assessments in Excel and accounting. Yannick excelled through the entire process and was offered a position with the company as an Accounting Clerk. There he has continued to grow and develop professionally. He has also found a workplace where he feels welcomed, supported, and part of a collaborative team. Optimism, happiness, and gratitude all combined are hallmarks to the success that Yannick has earned today and that which he will achieve in the future. He approaches life with curiosity, hope, selflessness, and a little bit of humor. This exemplifies Yannick’s overall approach to life and his professional goals. In the DR Congo, he left his position as a Financial Accountant with a large copper and cobalt mining company to take a Controller position the Ministry of Finance. He credits this decision to a deep-rooted desire to be in the service of others. In considering his future plans, he would like to enroll in the MBA program at Boise State University and continue to explore ways in which he can help others.